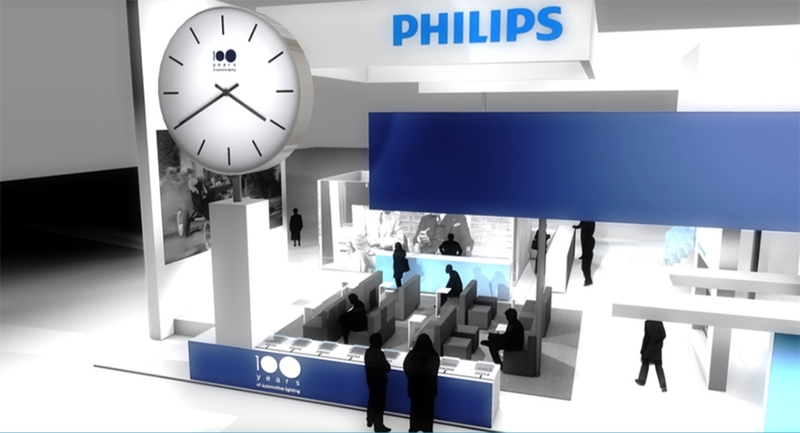 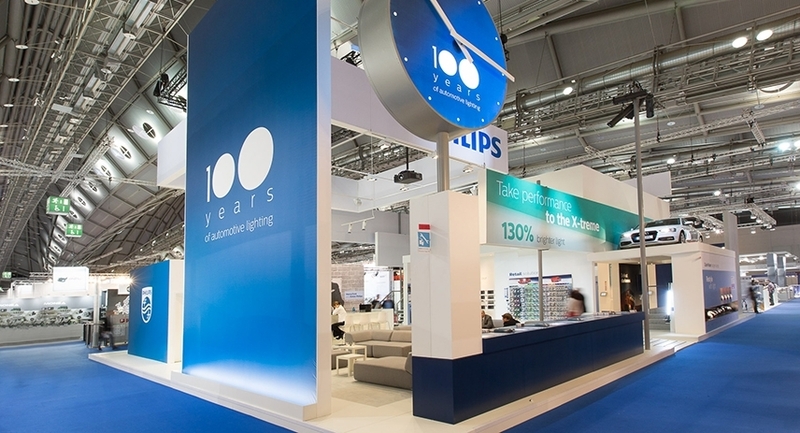 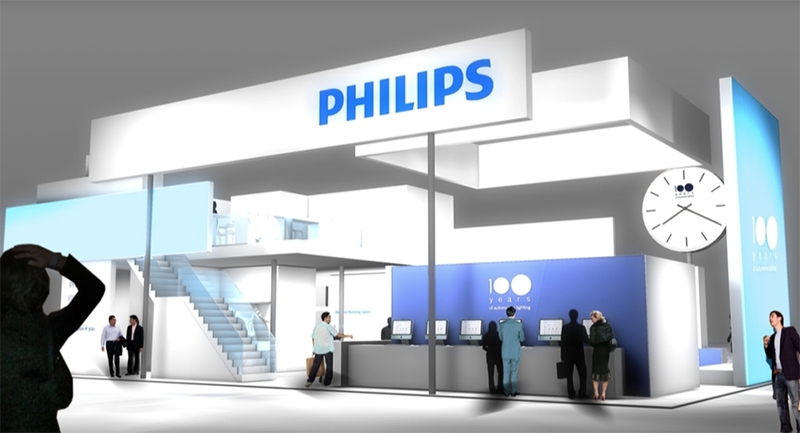 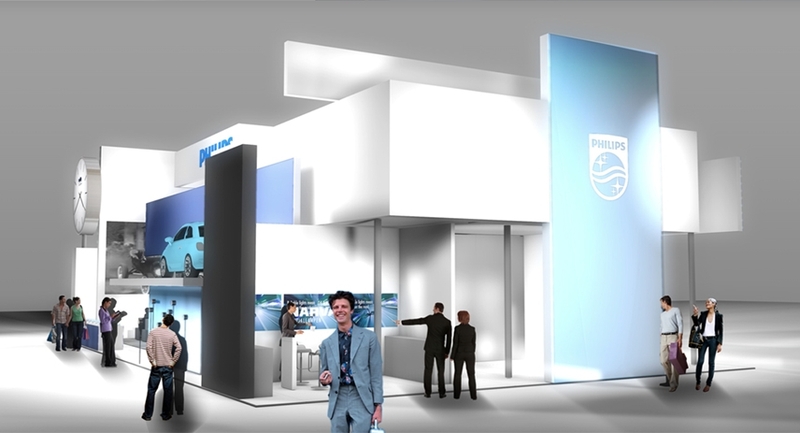 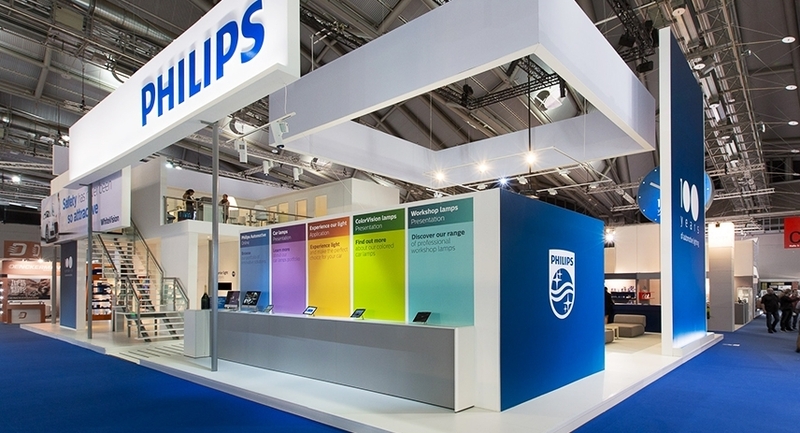 At the Automechanika 2014 in Frankfurt, Philips Lighting had an anniversary to celebrate - 100 years ago, Philips sold its first light bulbs for cars. 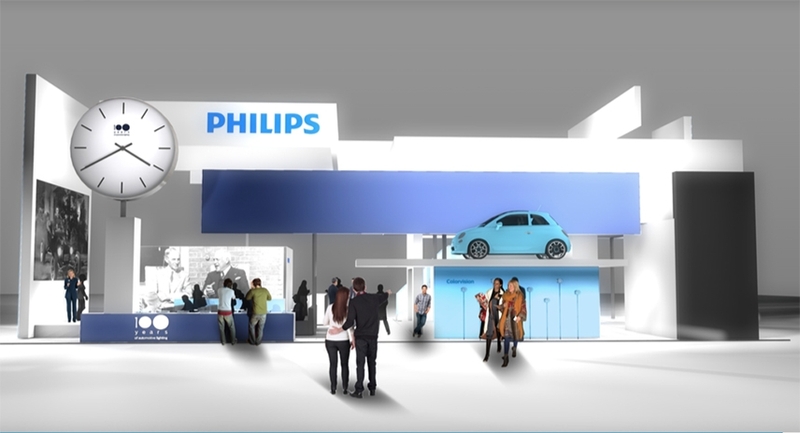 Now, every third car has a light bulb made by Philips. 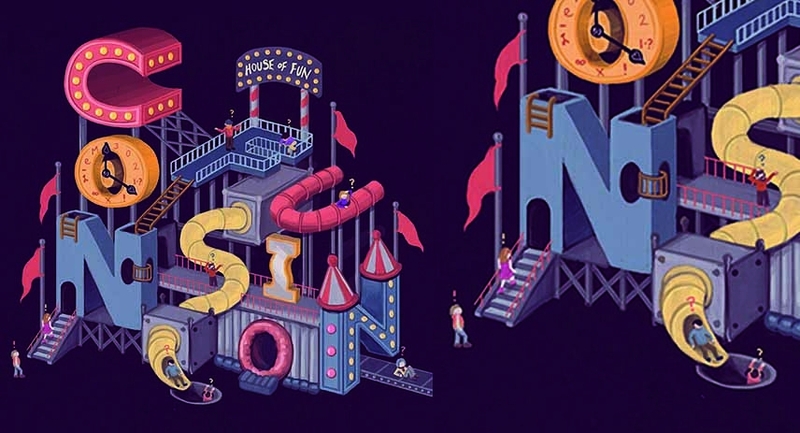 The festive mood was reflected in a vintage fun-fair's 'House of Fun' illustration that was taken as inspiration for the stand architecture, wherein many different forms and colours interact with each other. 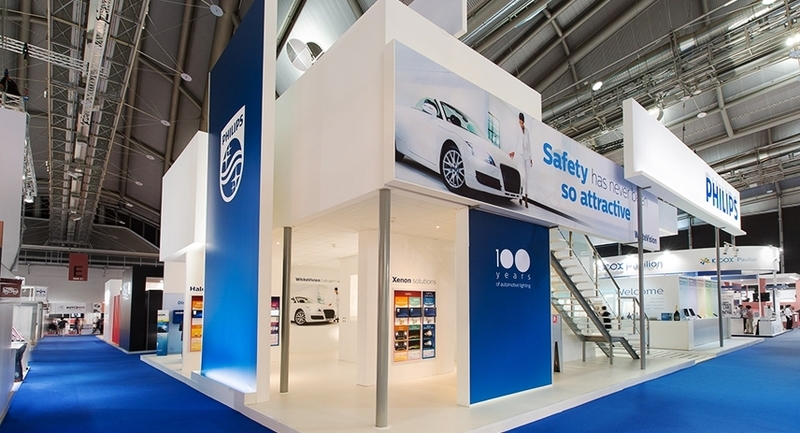 The resulting stand stood out with its extreme height and playful character, while maintaining a sober white colourscheme for successful onsite lighting presentations.